Fair Society, Healthy Lives: Strategic Review of Health Inequalities in England post 2010, The Marmot Review, Feb 2010. The Institute of Health Equity and Public Health England have established a set of indicators of the social determinants of health, health outcomes and social inequality, that broadly correspond to the six policy recommendations. The indicators are regularly updated by Public Health England – (see Wider Determinants tool). Disparities in life expectancy and healthy years between communities in different parts of London and the UK are key measures of health inequality and tackling them is a central aim of the Public Health Outcomes Framework which was first published by the Department of Health in Jan 2012 and has since been regularly updated (see also Health Inequalities in London published in Oct 2015 by Public Health England). In London, the Mayor has a statutory duty to produce a Health Inequalities Strategy. 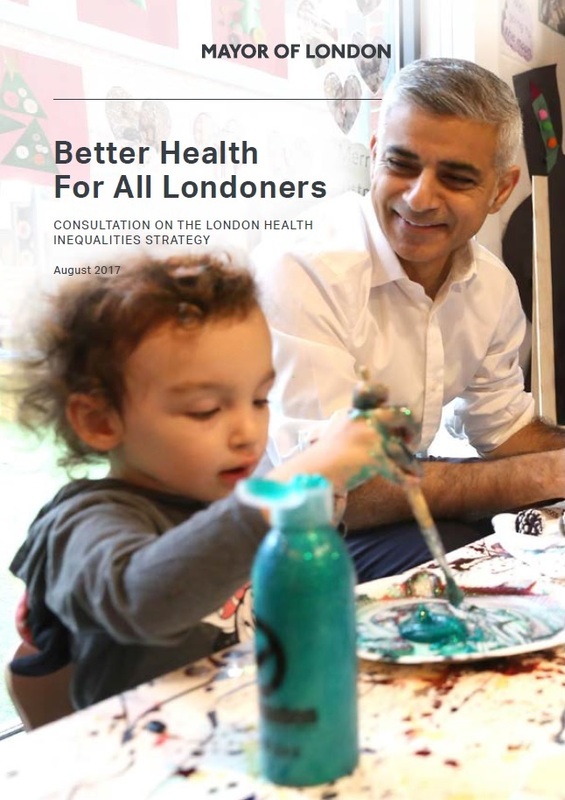 The Mayor has launched a consultation on his draft Health Inequalities Strategy ‘Better Health For All Londoners’ which aims to help create a healthier and fairer society and to make the healthier choice easier for everyone, including the most disadvantaged. Policy 3.2 of the London Plan, March 2016 commits the Mayor to working in partnership with other key stakeholders to reduce health inequalities by supporting the spatial implications of the Health Inequalities Strategy. In particular, the planning system has a key role to support the aims of the strategy to create healthy places, healthy communities and promote healthy habits. HUDU works closely with NHS organisations to ensure that the spatial dimensions of health inequality are addressed through the mechanisms in the Plan, and by making wider use of spatial analysis and the planning system.